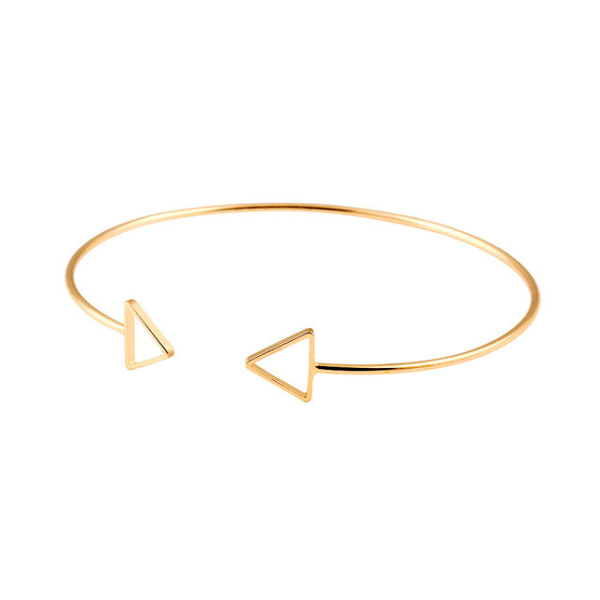 This Triangle Cuff Bangle is the perfect reminder that simplicity still goes a long way. Add this versatile piece to any outfit for a look that will instantly look charismatic and fun! Available in either silver or gold with an adjustable fit, this Triangle Cuff Bangle is a trendy gift to share on any special occasion.